Overcome underlying sources of fear and anxiety with the five proven techniques of Dr. Joseph Shrand’s I-Maximum Approach. Some fears are genetically wired. Others begin in childhood or adolescence and may leave us feeling inadequate to face the dangerous unknown.Dr. 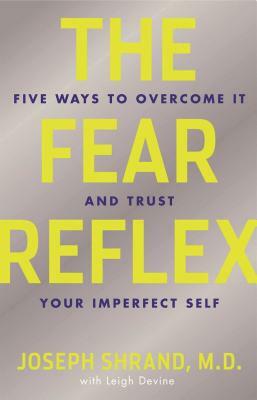 Shrand, a leading expert on the psychology of fear, teaches us how to use the rational parts of our brain to change our perspective and respond rationally to fears as they present themselves. Shrand’s iMaximum resiliency-based approach starts with the assumption that we’re all doing the best we can with what we know at any given time. Using this mindset as a foundation, this model features five proven strategies to:find better ways to connect with others to reduce feartransform fear into trustexplore our biological responses to fearlook at the role of social groups and society in fostering fearexamine the role of fear in our childhood and home life.By developing a radical self-acceptance that allows us to step back and question our fearful thoughts, we can confront and process them in healthier ways, leading to a better, more confident self. Joseph Shrand, MD, is triple Board certified in adult psychiatry, child and adolescent psychiatry and addiction medicine, is an instructor of psychiatry at Harvard Medical School, and is medical director of an intervention unit for high-risk teens at the High Point Treatment Centers. He is coauthor with Leigh Devine of Manage Your Stress. Dr. Shrand lives in Marshfield, Massachusetts.Leigh Devine, MS, has a master of science from the Columbia School of Journalism and is a journalist, writer, and producer who has created several award winning educational and commercial programs and documentaries.Leigh lives in New York, New York.